We all know that defining a problem is a major advance in resolving it. Therefore, it is precisely those problems, which you have not defined that are by definition bigger problems. Some problems are paradoxically obvious in hindsight, but invisible without being given a good hint or a different perspective. Imagine investigating a potential crime scene where everything looks normal and anything out of place has a logical explanation. Then someone comes in with a UV lamp and some CSI spray and you immediately discover something disastrous happened here. What was invisible is now obvious. Fellow consultant Gary Bartlett has termed this “unconscious incognizance” or UI. It is the inability to think about something of which you are not already aware. Something very analogous can happen with our marketing efforts. We know what we offer and search for potential customers who need our solutions. But what if the customer is unaware that they genuinely need your solution because they attribute their circumstances to other causes or excuses. Let’s use my business for example. I help companies set up war rooms and develop competitive growth strategies to develop winning offerings and align their people to implement them effectively. So I might seek those people looking to set up war rooms, but that would be a big mistake. Now, it is probably obvious that the absence of a growth strategy would likely result in little growth. But the reverse is not so apparent. Most company executives have a plethora of reasons for why they are not growing. The economy is slow. Investment is lagging. Their customer’s pipelines are building slowly. The lack of growth does not immediately indicate that a growth strategy is missing. What then are we to do? Concentrate on the consequences and the feelings clients are experiencing. This is true for your business as well. Whatever you offer, it is an easy trap to only see customer’s problems through your solution and believe people are looking for such a solution. However, thanks to UI they do not see your solution as solving a problem they have. They have other rationalizations for their circumstances. Instead of targeting people whom you think need your product, target people who can identify with the pain and consequences of living without it. Once they identify with the pain, you can open a dialogue. Then quickly dismiss the easy excuses masquerading as logical reasons. This brings them to a seemingly dead end, but then you turn on the light to reveal what they have been missing. In my case, I can then reveal to CEOs, CFOs, and SBU leaders that what is missing is a clear, cogent, and compelling strategy for competitive advantage and profitable growth. Often, but not always, that will require some analytical work that is readily facilitated by a war room type effort. Your details will be different although your fundamental challenge will likely be the same. 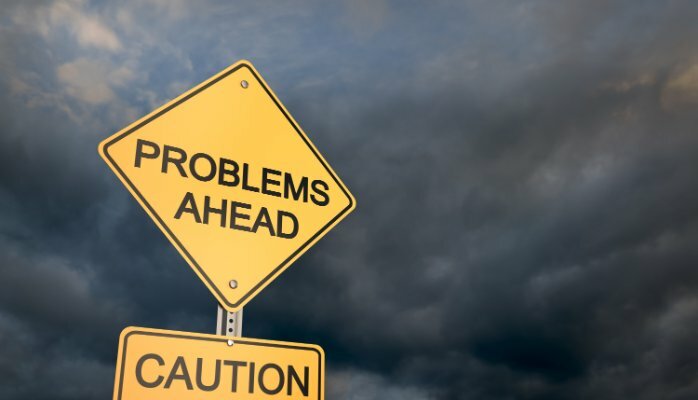 While searching for customers who need your offering, can have some success; there are vastly more customers who simply don’t realize that they have the problem you could solve. The phenomenon of unconscious incognizance affects us all; you, me, and our potential customers. We can literally be oblivious to the true nature of problems right in front of us. Turn on your analogue of the UV light and make the problems and your solutions visible for your customers.